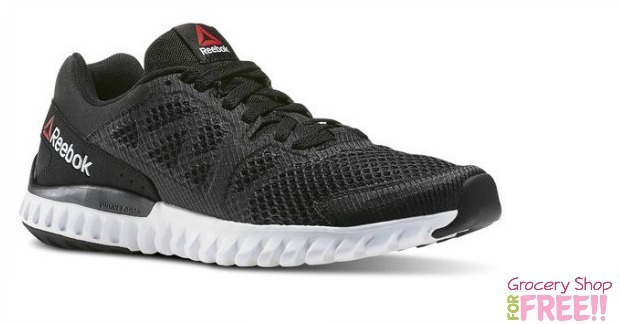 Reebok Twistform Blaze 2.0 MTM Just $29.99! Down from $70 PLUS FREE Shipping! 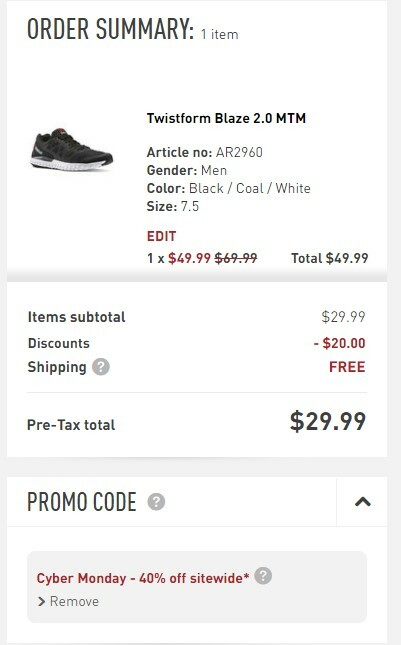 You are here: Home / Great Deals / Christmas Deals / Reebok Twistform Blaze 2.0 MTM Just $29.99! Down from $70 PLUS FREE Shipping! You can grab these Reebok Twistform Blaze2.0 MTM shoes for just $29.99 PLUS FREE shipping right now! They are normally $69.99! They also are having a pre-Cyber Monday sale when you use code: CYBER at checkout you get 40% off! Final: $29.99 PLUS FREE shipping!